The 53-year-old manager of a pharmaceutical firm, known for her trouser suits and blow-drys, has risen to the fore as one of the new faces of veteran Islamist party Ennahdha as it seeks to modernise its image. Municipal elections in Tunisia were marked by low turnout by a public facing ongoing economic hardship and frustrated with political elites. Across the country independent lists took the highest number of seats, winning 32.9 percent nationwide. Abderrahim was elected mayor in a second round of voting by councillors which was boycotted by left-wing and centrist parties who refused to support the candidates of either of the main parties. An activist during her university years, Abderrahim sat within the Ennahdha bloc of a new constituent assembly between 2011 and 2014. During that time she caused controversy for her criticism of single mothers, before disappearing from the political scene until the May municipal elections. The new mayor rejected the "Islamist" label, asserting she wanted to work with all parties. "We have chosen transparency as a slogan," Abderrahim said. The Ennahdha party in 2016 acknowledged the separation of religion and politics, describing itself as "democratic Muslim". 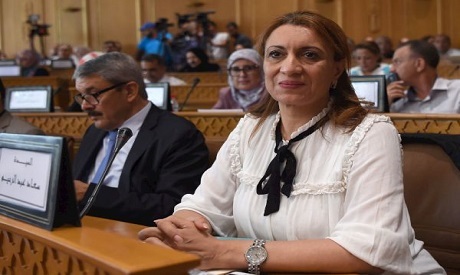 As municipal councils are being formed across Tunisia, observers say the proportion of female mayors could be relatively high. According to the country's electoral commission (ISIE), women made up 47 percent of those elected in the recent local polls.